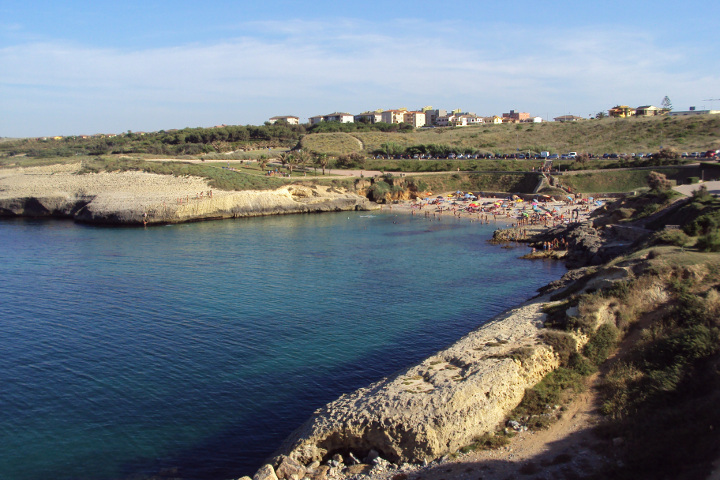 Balai is a charming beach located near Porto Torres, in a cove between steep cliffs. Thanks to the fine sand, the shallow waters and the beautiful colors of the sea, this is a very popular beach in summer. 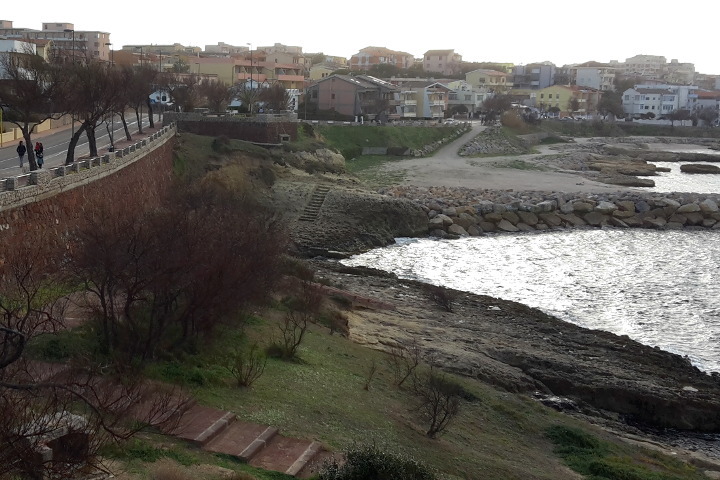 From the area of the city port, we walk along the cycle and pedestrian path of via Lungomare Balai; here, our itinerary runs along the sea. 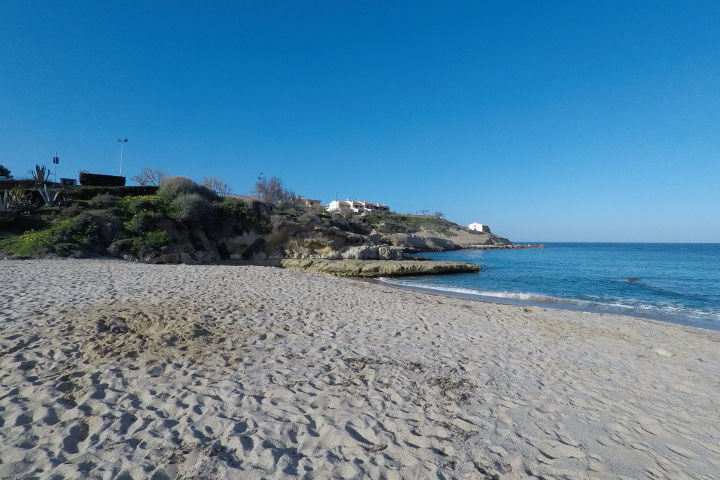 After passing the first city beaches, we reach the northernmost point of Porto Torres. 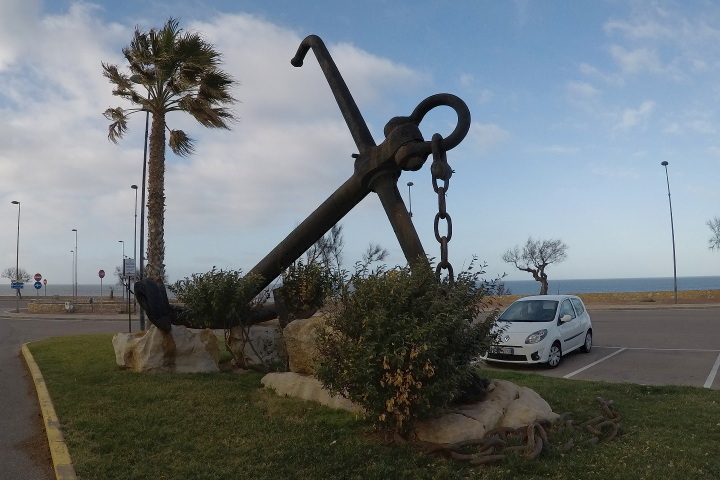 Here we find an iron monument that represents a large anchor, dedicated to the fallen of the Battleship Rome, sunk in the Asinara Gulf during the Second World War. 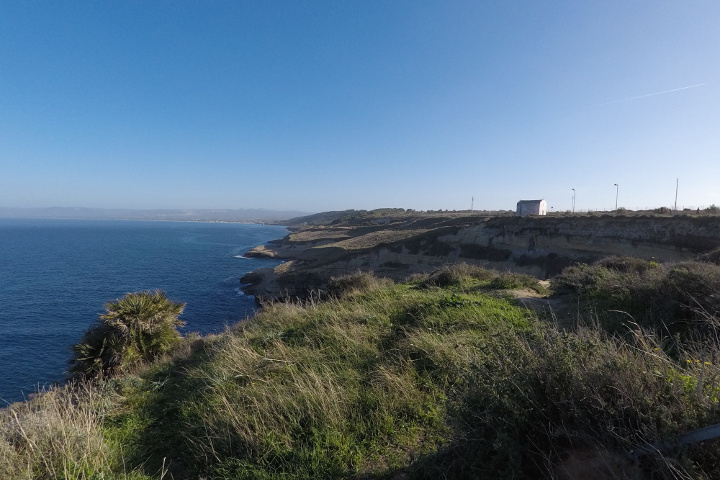 This area is very panoramic: to the west we can see the port and the buildings of Porto Torres, while to the east we can see the beautiful bay of Balai beach, surrounded by rocky cliffs and a green park. Just below us, on a cliff, there is the little and nice white church of Balai Vicino. Dedicated to San Gavino, it is located near a hypogeum: a cave dug into the rock, probably used as a tomb. 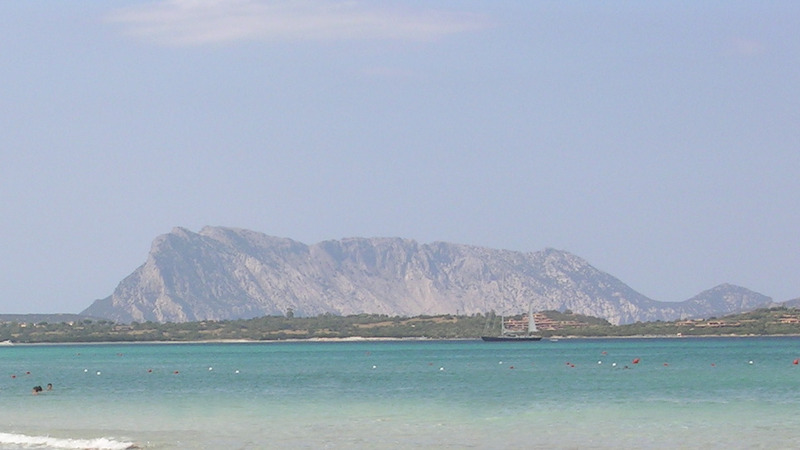 According to traditions, the Christian martyrs Gavino, Gianuario and Proto rested here, after their death in this region in 303 AD. 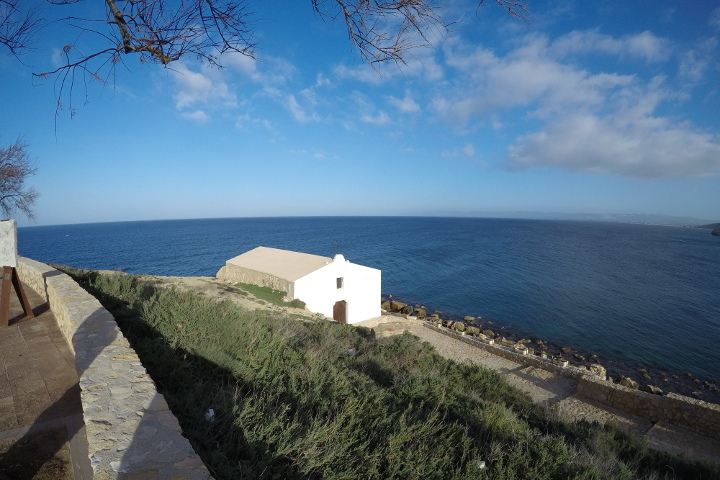 The church was built around 1850, in limestone with a single nave; its white walls remind the houses of the Greek islands and stand out against the blue of the sea. 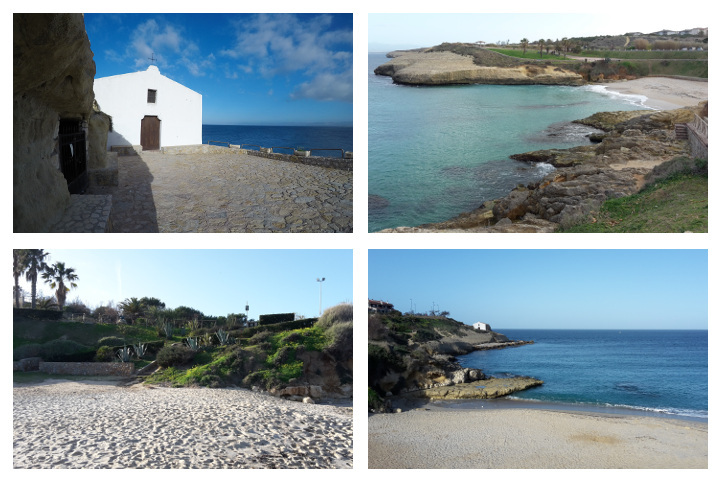 The name of Balai “Vicino” is due to the fact that this is not the only church in the area, but it is the closest to Porto Torres. After reaching and closely observing the beautiful building, we continue along the path, through a very green park. 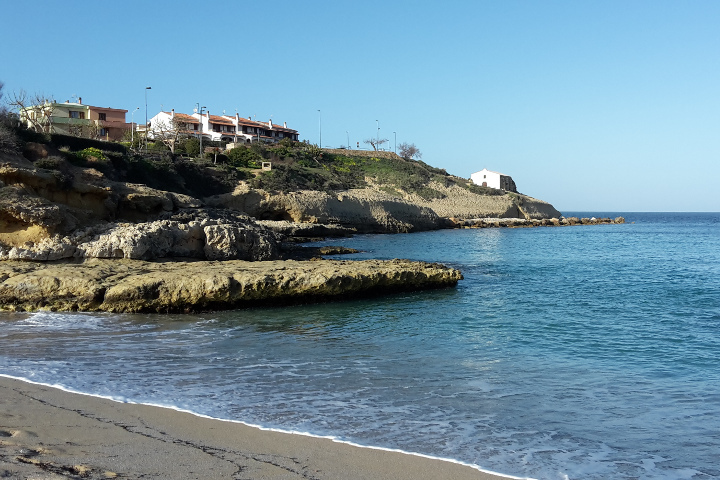 On our left we enjoy the view on the beach: even in winter the sea shows many shades of blue. The pedestrian and cycle path proceeds to the east, above the cliffs that close the bay of Balai. The walk is very relaxing and we meet several people: walkers like us or joggers. 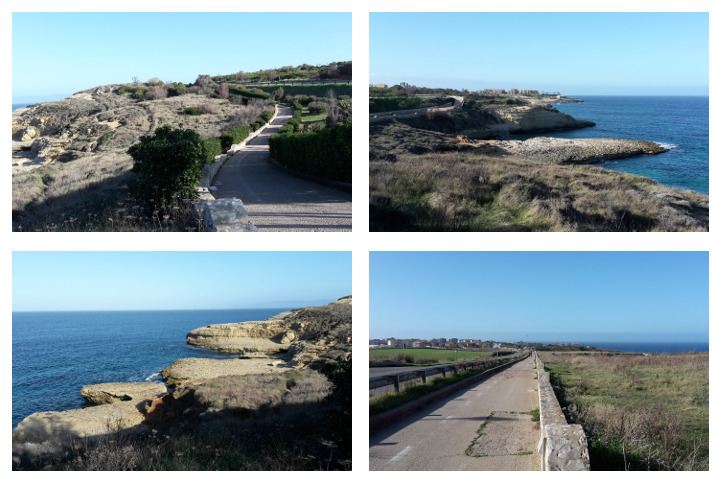 We cross another small park, continuing our stroll; the view of the blue sea beyond the jagged cliffs is always gorgeous. In about twenty minutes we reach another little white church. 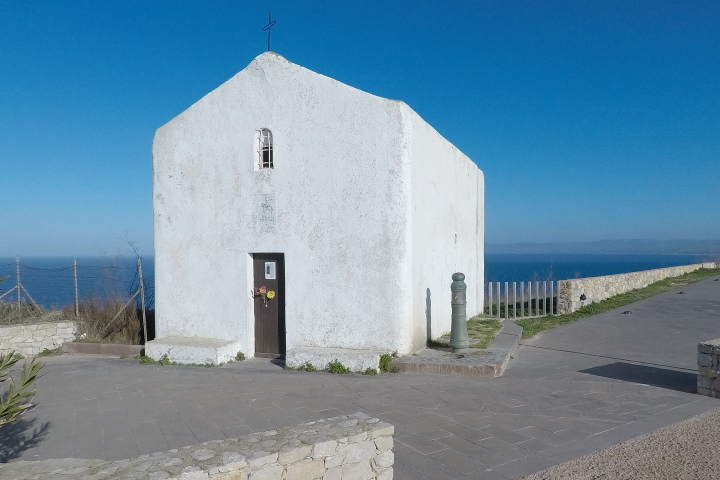 This is the church of Santu Bainzu Ischabizzaddu (“decapitated Saint Gavino”) or Balai Lontano, built in the place where, for tradition, San Gavino died. It is believed that the building has taken the place of an older church. 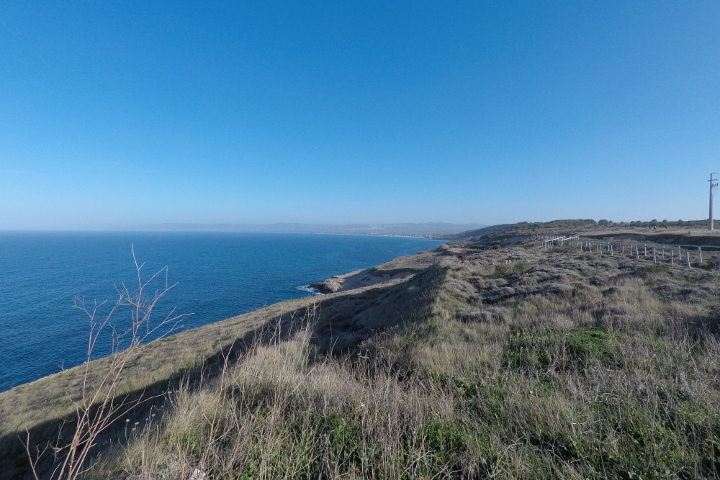 Here our tour ends, while we observe the succession of cliffs and inlets towards the east, towards the ancient tower of Abbacurrente; more in teh distance, the coast then becomes more linear near the long Platamona beach.